Kara practices in Denver as a psychotherapist and yoga teacher. Having worked in community mental health settings for several years, she has witnessed the barriers to affordable and quality mental health services. Kara is proud to serve as board president of Lumos Counseling and Education Center and support the center's essential role in the community. 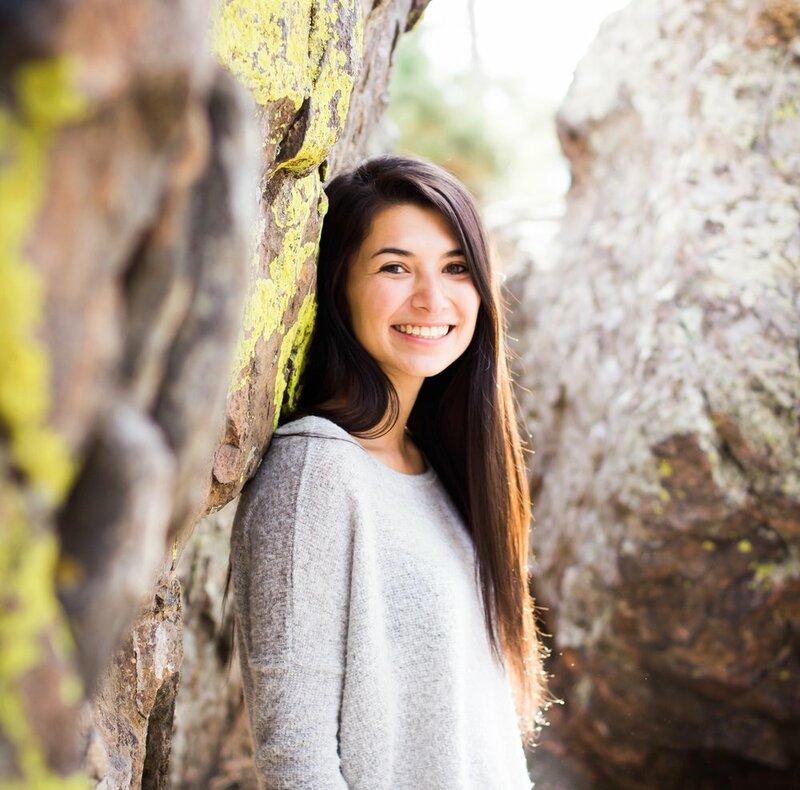 In her free time, Kara enjoys exploring the Colorado outdoors, practicing yoga, and scuba diving. Engineer, hiker, skier, scuba diver, and all around nerd describe Chris fairly well. Originally from Chicago, Chris moved out to Colorado after attending the University of Illinois where he obtained a B.S. in Electrical Engineering. Chris took a job at Ball Aerospace as a Radio Frequency Engineer and Systems Analyst and has been happily working at Ball for over six years. While living in Colorado and working at Ball, Chris furthered his interests in Engineering and obtained a Master of Science in Electrical Engineering from University of Colorado - Boulder. Outside of work, Chris likes to hike, ski, scuba dive, and travel whenever possible. Passionate about math, science, engineering, and personal budgeting, the role of Treasurer at Lumos Counseling and Education Center seemed like just the right fit! Paola studied Global Health and Medical Anthropology at the University of North Carolina - Chapel Hill and is currently pursuing a degree in Nursing. She hopes to work alongside rural communities to provide sustainable access to essential health care services around the world. Outside of this passion, Paola loves to hike, snowboard, travel, discover new ice cream shops and adventure through life. "I am grateful for the opportunity to serve as a Board Member for Lumos Counseling and Education Center because of the amazing ways in which they have become a community resource for mental health as well as a place for students entering into this field to train and practice prior to graduation." Halie works at Community Reach Center as a hospital liaison coordinating discharge planning and follow up care for mental health clients leaving the hospital. In her free time, she enjoys hiking, reading, traveling to as many new places as she can and playing with her adorable golden retriever, Rupert. "Therapy is a powerful experience that assists individuals with building resiliency, problem solving skills, coping skills and hope. Having had the privilege of witnessing first hand the positive impact and difference counseling can make in a person’s life, I full heartedly believe that everyone has the right to have access to mental health services. I support Lumos Counseling because not only is this agency increasing accessibility to mental health services at an affordable rate, it is also committed to providing quality training for mental health professionals." Alyssa Wermers is the founder and Executive Director of Lumos Counseling. She received her Masters of Social Work from the University of Wyoming. She began her career providing therapeutic services at community mental health centers in Maryland and Colorado. She now specializes in child mental health and trauma in her private practice. She also teaches clinical courses in child and adolescent trauma for the Social Work program at Simmons College in Boston. In her free time Alyssa enjoys hiking and reading the latest fantasy novels. Alyssa has a passion for increasing access to mental health care and is thrilled to cultivate the growth of Lumos.